Ohrid fortress, the symbol of the city without which its urban physiognomy and history can not be imagined is one of the largest medieval fortification constructions in Macedonia. 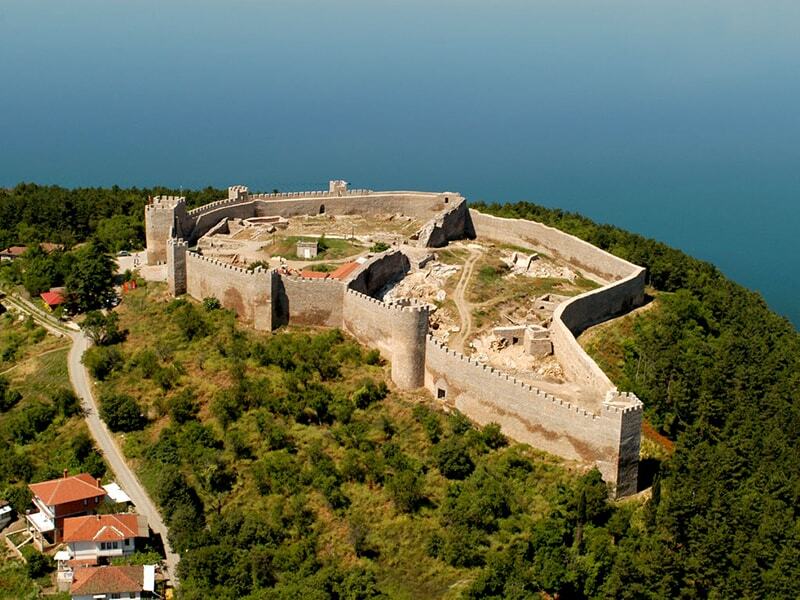 With its ramparts and fortified towers the fortress occupies the entire Ohrid hill which rises to 100 meters above the level of the lake. 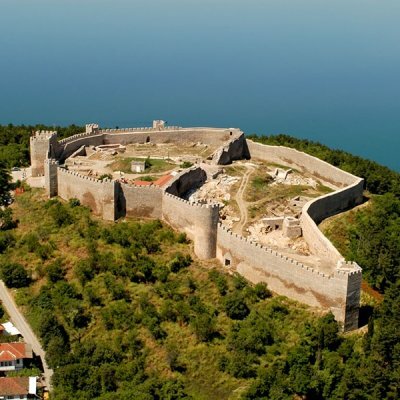 From all sides, with the exception of the southern, which is facing the lake, the city is being protected by high walls and defensive towers in the length of about three kilometers which is spreading all up to the Ohrid port. The height of the ramparts vary from 3 to 16 meters, depending on the configuration and accessibility of the terrain. 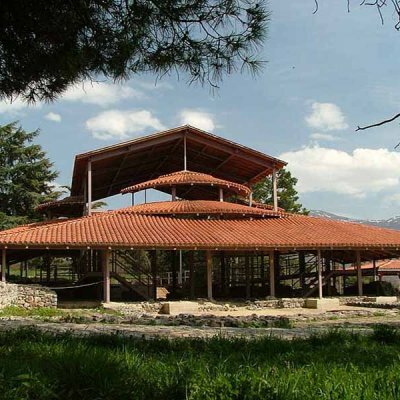 In the oldest sources, as Polybius, in which for the first time is mentioned the antique name of the Ohrid Lake, it is pointed that in the first military action in this region, the Macedonian king Philip II made a determination to build a fortification on the hill above the lake. 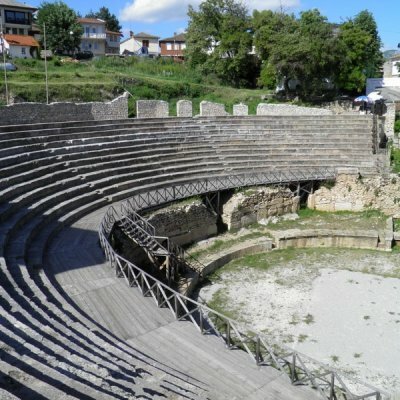 The oldest historical data on the city Lychnidos (the antique name of Ohrid) and the fortress itself, dates from antique historian Livy from 209 BC, where it is said that the fortress was built and functioned in all the crucial moments of the history of the city. The chronicler Malchus (Malala) noted in 478 that such the fortified city had strong defensive power because of which the Ostrogoth king Theodoric the Amalian, in its military march toward the New Epirus did not succeeded to conquer Lychnidos "Because the city layed on an fortified stronghold and abounded with springs within the walls." The remains of that oldest fortress are confirmed by the archaeological excavations that uncovered stone blocks, placed on the internal and outer sides near the northern ramparts at today's Citadel, in the direction southeast-northwest. 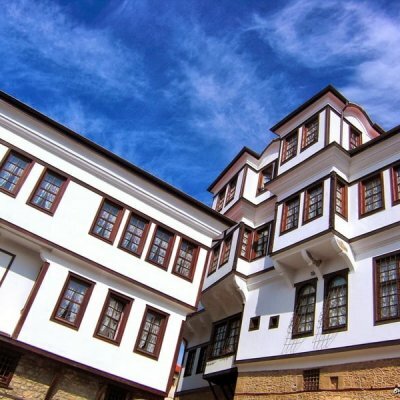 Throughout history the fortress has been destroyed many times, rebuilt and upgraded, so that it bears marks from almost all the historical epochs when Ohrid ruled by the Romans, Byzantines, Slavs and Ottoman Turks. 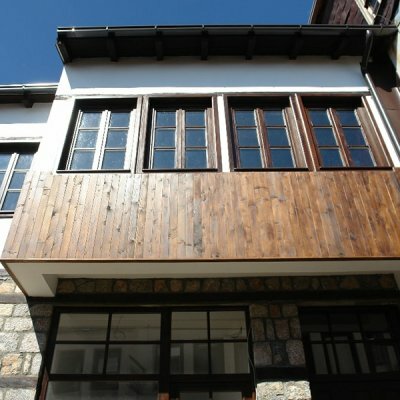 However, it is believed that most of the walls of the Citadel and suburban area, alongr with the preserved towers date from the time of the emperor Samuel, from 976 to 1014, and then, from the time of his successors until 1018, when Ohrid was the capitals of the first state of the Macedonian Slavs, because of what today the fortress is known as the fortress "Samuel's Stronghold". After the full collapse of the empire and falling again under Byzantine rule, emperor Basil II fully destroyed the fortress. 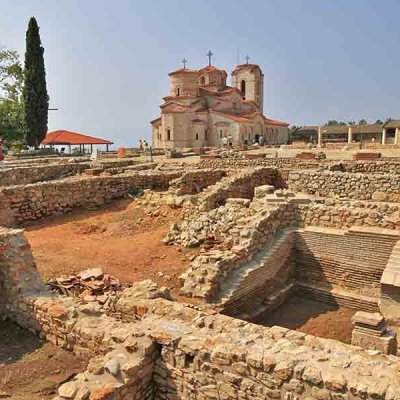 Later, probably Byzantine emperor Alexios I Komnenos restored it again, and also in the second half of the 14th century, at the time of the reign of the Great Prefect Andrea Gropa in Ohrid County, between 1371 and 1385, the Citadel was restored again. 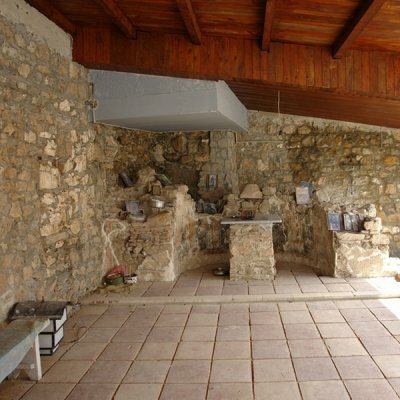 After the Turkish conquer of Ohrid, the fortress housed military crew, but it didn't represent any more a facility where important events for the history of the city took place. Besides the basic function of defense against enemies, the fortress also served as residence. Its central part or Citadel is divided with a wall in two parts of which in the first lived the emperor, and in the other one the soldiers were accommodated. From the outer side, the wall of this space is strengthened with a row of towers, of which the largest and the strongest one is located at the weakest point of the fortress, and the main entrance to the Citadel which is strengthened with two semicircular defensive towers is magnificent. 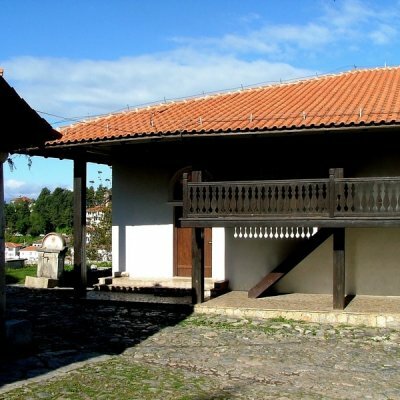 The second part of the fortress consists of a broad protective wall around the suburban area where courtiers lived with their families. The town had three main gates: the Upper Gate, adjacent to the church of the Virgin Peribleptos and the ancient theater, the Front Gate, at the present church of the Virgin Chelnica and the Lower Gate, located about fifty meters from the shore of the lake, near the church of St. Nicholas Bolnichki. 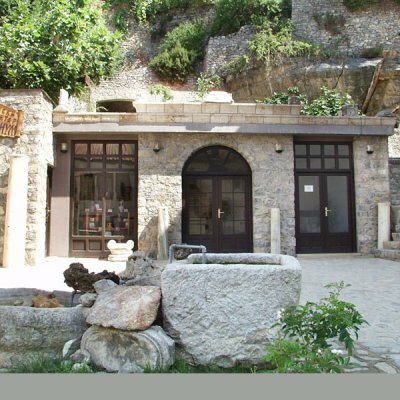 Only the Upper Gate in which as a building material marble tombstones with Greek and Roman inscriptions and other elements derived from ancient buildings in the city is used, has been fully preserved. 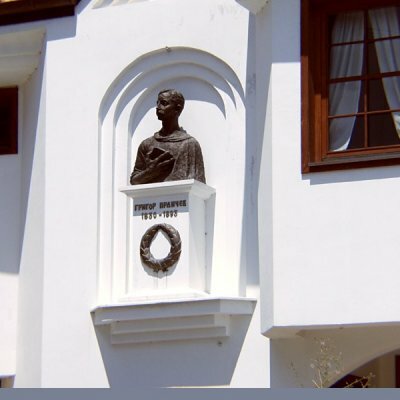 The historic role of Samuel's Fortress ends with the outlaw central Ottoman rule Dzeladin-Bey, who as an independent feudal lord ruled Ohrid in late 18th and the first decades of the 19th century. He was the last who carried out major interventions on the ramparts of the citadel and that used it for defense and living. In the southern part of the citadel, in 1808 he built his palace, known as the Upper Palace. 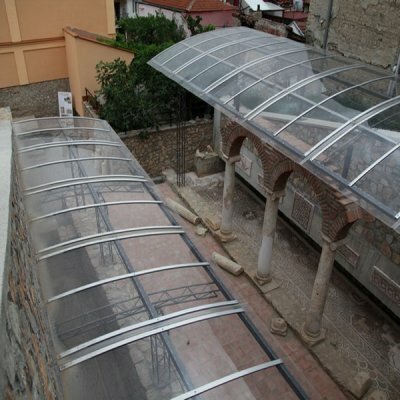 This palace, for which construction was used almost all the building material from the demolished Palace of Ismail Pasha, that was built with the adaptation of the palace of the Ohrid Archbishopric that was located south of the Cathedral of St. Sophia, in the area of today's Saraishte, was demolished after the escape of Dzeladin-Bey from Ohrid in 1830. 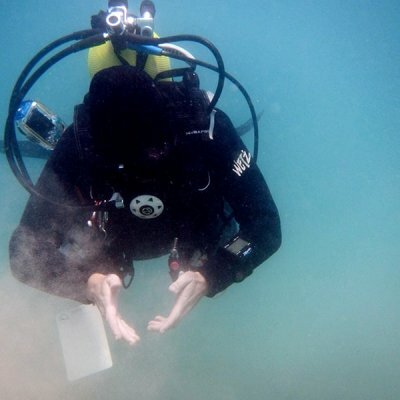 Ever since Samuel's fortress nearly two centuries was left to the ravages of time until 2000 when the large research, both with conservation and restoration works started. Then systematic archaeological excavations of the entire area of the citadel have been conducted and the walls and towers of its central part were repaired, preserved and restored.